What would it be like to be an animal in a human dominated world? These illustrations show a shocking view of what life would be like for a human if animals were in charge. Some are funny, some are disturbing, but all of them send a powerful message to those of us who love bacon cheeseburgers. 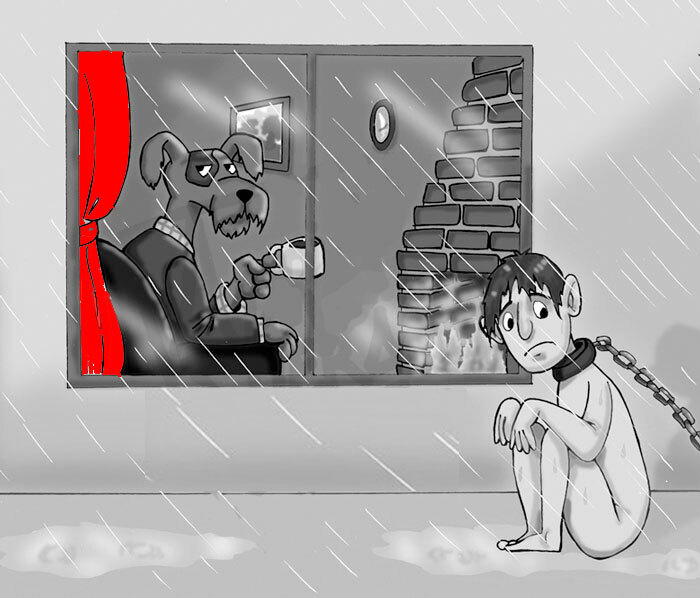 Click the ‘Next’ button below to see the most shocking illustrations of what it’s like to be an animal..